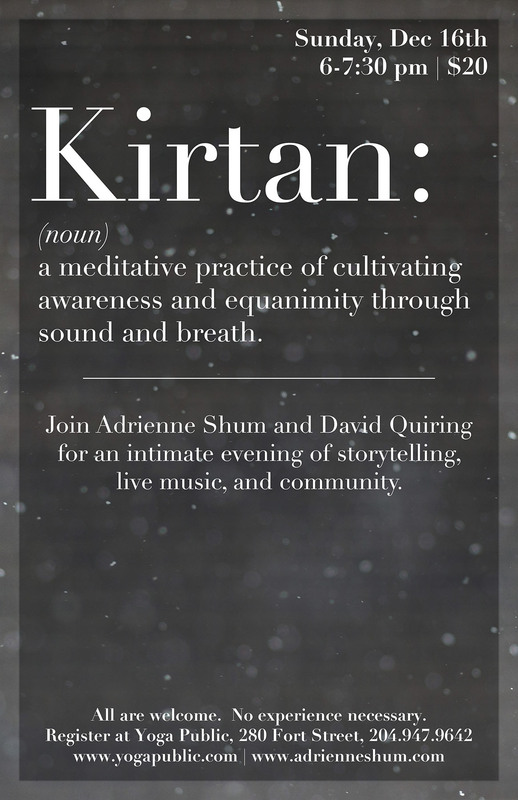 Join David and I for a kirtan hosted by our friend Bahram Moterassed on Friday March 17th, 2017 (7-8:30 pm, $25, 3-1200 Portage Ave ). As we prepare for the earth’s yearly thaw, find renewal through the healing sound of this beautiful practice rooted in Bhakti yoga. 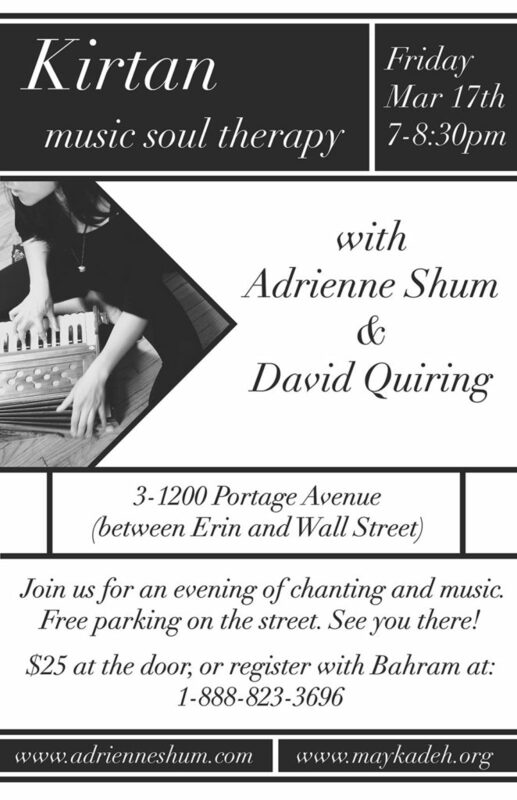 Free parking is available in the surrounding side streets and the location is accessible by several major bus routes (on Portage, between Erin and Wall St). Register ahead by contacting Bahram or just show up!